"this day trip was a disaster, which was not only due to the weather, we left Newbury late just before 11am.There was no chance of getting the 11:30 ferry. We had booked the Isle of Wight by Hovercraft, not Gunwharfe Quay, not Dockyard or the Spinnaker Tower, which was part of the reason which made us late for the ferry, where we were booked for a 11:30 ferry, we arrived at 12:30 we were told our ferry was not until 13:45, and were told the return Ferry was 16:30 which meant being there for 16:15 . Which only gave us just over 2 hours on the island which did not give us a lot of time to look around the Island and as it was our first time, there just was not enough time to explore"
"Hi, I can only apologise regarding this. We had run exactly the same trip, in exactly the same way, earlier in the year with no problems at all. Unfortunately, due to bad weather and traffic conditions the coaches were late by the time all of the pick ups had been done. Although we then tried to amend the schedule as much as we could, the coaches were late getting to the Hovercraft. Apologies again." 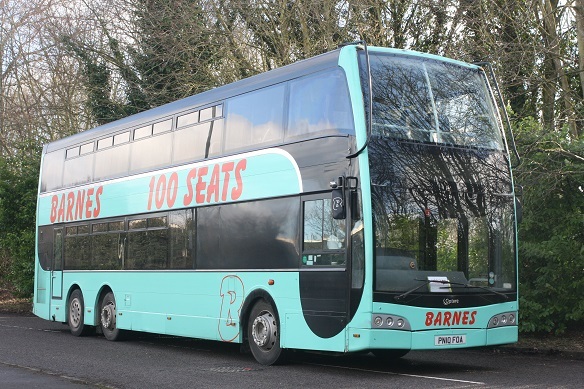 "I have used Barnes coaches a few times now and always thought the service was decent. The last couple of times I have used Barnes I have not been impressed at all! 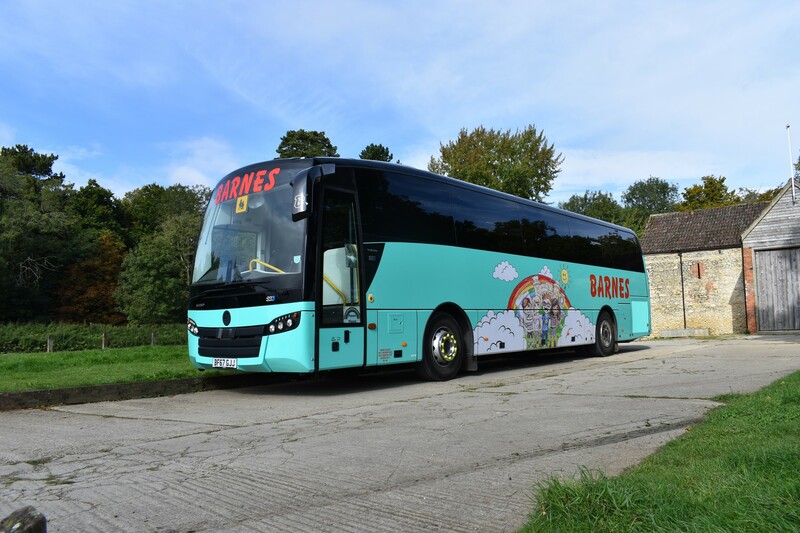 Yesterday I used Barnes to go to the air tattoo, pick up was fine and on time, but when we arrived we were clearly told to be back to the coach for 6 or else the driver will be leaving with or without us. Bare in mind we paid for these tickets and the actual flying display didn't finished until 6, we were sat on the coach watching the displays which I found absolutely appalling! But that wasn't the worst... when we arrived back to the coach we were greeted by the worst smell imaginable. The driver had clearly been sat in the warm coach most of the day with absolutely no deodrant! Put it this way, we were in row 11 and we were still trying to hold our breaths, so god bless the people sat at the front of the coach! I am going to be writing you and email regarding this experience because it was appalling for the amount we paid for it. I will then explain the "clown" we had taking us to London for Guns n Roses, he was the only person that thought getting back to swindon at 4:30 am after leaving London at 12:30 am was hilarious! I will not be using Barnes coaches again after these experiences and will definitely NOT recommend anyone to use this service. Please contact me regarding names of your employees, so some action can be made against this!" "Hi, thank you for your review and we are disappointed that you haven't been as happy with our recent trips as you have in the past. We will be investigating both instances and Mr Barnes will be in touch." "Vehicle was clean and comfortable but everything else was horrid. Driver was ignorant, refusing to drop the group off at convenient locations and being late (by upwards of an hour) on nearly every pickup. The journeys took nearly twice as long than thry needed to be due to consistently missing turns, going wrong ways, etc. in fault of the driver. Overall poor experience, better off finding a different busing company or taking a cab." "Hi Mr Alexander. I cannot find a booking recently under your name so could you please let me know where you traveled and on what date so that I can investigate further? Many thanks." "Yesterday we went out on the bike and ended up behind a Barnes coach for a stretch of about 10 miles-- from around Chillington to Dartmouth.. This road is narrow and hilly in places-- BUT there are many passing points. The driver did not pull in once and allowed a HUGE amount of traffic to build up behind him. I could go on about the overheating of the bike-- and farmers and locals who were trying to get on with their work-- just like him-- but his actions as a driver were rude and inconsiderate to other road users. I hope you can work out who he was and action an improvement." "Hi, apologies regarding this. I will certainly speak to the driver involved as whilst he was probably doing his best to give his passengers a smooth and pleasant journey he should also understand the needs of other road users. Thanks." "Four of us pensioners booked a trip to Royal Mint & St Fagins, In the NWN advert it stated pick up in Thatcham, On booking I was informed that Thatcham had been removed from the pick up points which makes it difficult to get to Newbury library for 08.50, Should'nt have advertised Thatcham as a pick up point!." "I pay £500 annually to get my daughter to school. The coach drivers are often rude and on three occasions this year they have left the stop before the due time which has meant that today my daughter has missed the last day of term. I called the company, they were dismissive and unhelpful. 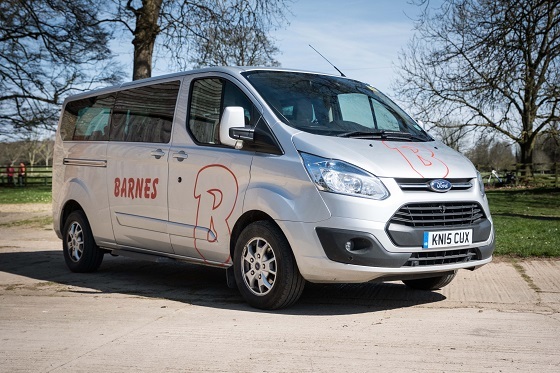 Think carefully before relying on Barnes as a service. Extremely poor!" "Hi, apologies if this have ever been the case. If you let us have specific dates and times we will always look into this for you." "Having witnessed one of these coaches being driven on the motorbay I am only glad that there were no passengers on board. The standard of driving was far from professional, undertaking and giving other road users hand signals is not a good look! The driver of vehicle WA13 DWY should not hold a licence as he obviously thinks it gives him the right to break the law and use his size and mass to bully othe road users." "Hi, obviously this is not the actions we expect or tolerate from our drivers. Could you please let me know when and where this was so that I can work out which driver it was and discipline them accordingly. 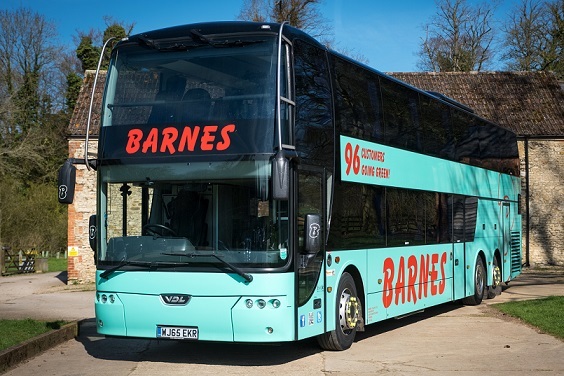 Thanks"
"Unfortunately we had a very bad experience with Barnes Coaches. I'd booked a luxury 19 seater to arrive at our address in the high street then onto another location within the village at 6.20am to go to Gatwick North. Was getting a bit panicky as the mini bus didn't arrive, but had a call from a friend who was being picked up at the 2nd stop to say a huge coach had arrived, the driver said he couldn't get down the high street, so we trugged up the road to the coach. When i asked the driver why we didn't have the luxury mini bus he said "they thought you wouldn't be able to fit all your luggage in", i was quite annoyed as i'd had no communication from Barnes telling me this was the case and I wanted something special as this was the start of a 2 week 40th birthday holiday for my husband. not a great start! so we were late leaving ramsbury because of this. 2nd issue, the driver missed the turning for the M25 so had to go another 8-10 miles up and back down the motorway to turn back and get off the right junction, we were really late now! On the way home at gatwick we waited at the coach area where we were instructed to wait, no marshall to release the coach. I must also say when a lady from the office rang me the week before to confirm the booking i asked if i could have a number in case of emergency. she gave me an office number which wasn't answered after trying several times (this was at 7am), my husband kept on trying and finally spoke to someone (30 minutes after waiting with very tired children), she mentioned nothing about the marshall. the bus eventually turned up and to my shock it was the 19 seater luxury mini bus which i'd originally ordered (i thought you said you couldn't fit all our luggage in! ), so i was extremely worried that that might be the case, but as i thought it did fit in. "We pride ourselves in providing exceptional levels of service, from the initial booking stage all the way through to the day of travel". this is what you quote on your email to me when asking for feedback. You haven't given me exceptional levels of service at all, a real disaster from beginning to end. I shall not be using you again for any airport trips and certainly wont be recommending you to anyone else." "Hi, thank you for your review, although I am sorry you haven't experienced the service you would expect. If I could please answer all of your points in turn. 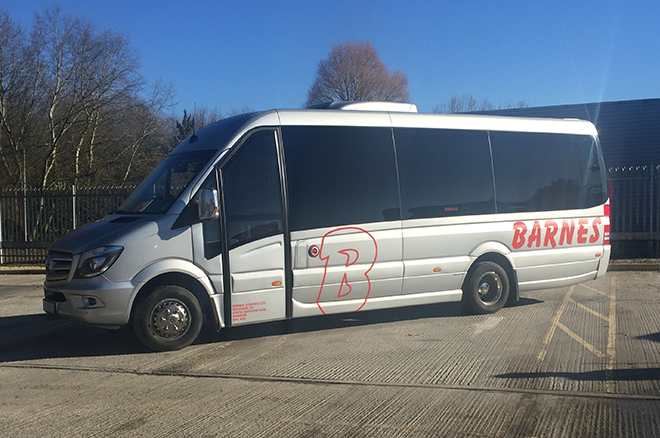 With regards to the size of coach we sent, I am unsure why the driver told you this was to do with the luggage, it was actually because the air-conditioning system was faulty one of our coaches so we sent this coach to make the journey more comfortable for you. I apologise that all we had available was a larger coach although I would have expected this to be able to get to your pick up as it is next to a fire station so the cars must have been particularly badly parked on this day. I apologise that the driver missed the turning onto the M25. Unfortunately at airports our coaches are not allowed to leave the coach park to pick passengers up until they are instructed to do so by the coach parking marshalls. Whilst we realise this can be frustrating for passengers who have had long flights it is completely out of our control. Our office is manned from 0700 every day and if the office isn't open there is a message containing a phone number for people to phone outside of these hours so I will investigate why this system didn't work on this occasion. I can only apologise that the level of service we provided wasn't as you expected and can only hope that you will give us the chance to rectify this if you wish to book any coaches in the future.."
"Tried to postpone downtown Abby trip due to urgent hospital admission , was told about no refund policy which whilst I understand. Was explained in a brusque and unsympathetic way , having been a regular customer for many years I will not be using you in future"
"My apologies, no need for this at all and I will be investigating and taking action. My apologies again." 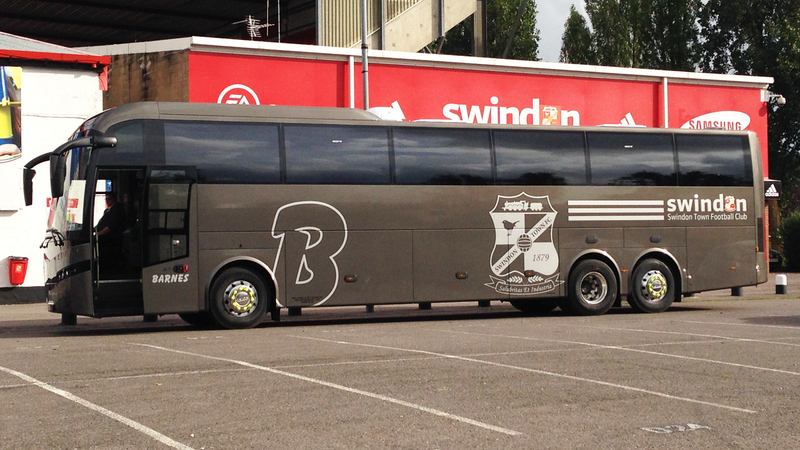 "Rihine ablaze not worth going to see fireworks seen good display in swindon.Driver paul was fantastic coach was kept to a very high standard just a shame about the boat trip."